Thank you for a very insightful reply to my rather visceral reaction post. Indeed it does explain why the digital editions are so far removed from the print. It does make sense from a fiscal standpoint. They don't have rights and they don't want to pay an arm and a leg to get them. Cheaper alternative - pay for a retranslation. That said, from my standpoint, the retranslation makes it feel like a different comic altogether. I am not a purist in that I didn't mind the relettering, I welcomed it even, as the new lettering made good use of the white space/density as you pointed out. 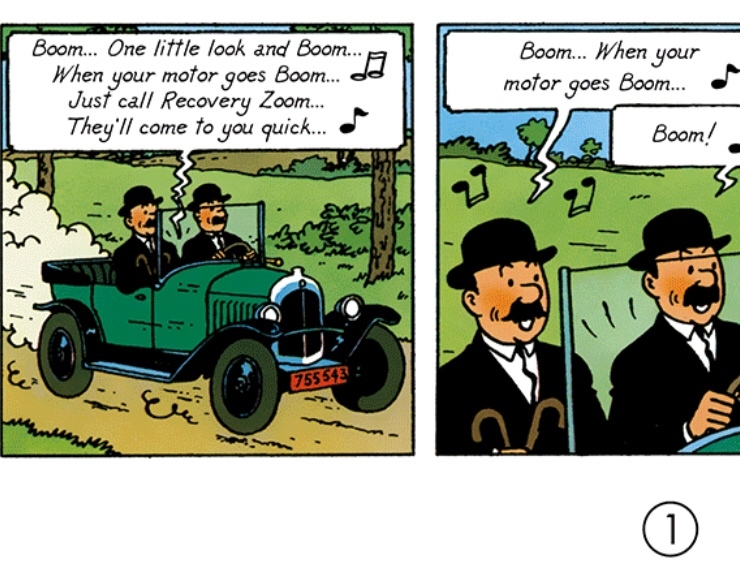 However, with the retranslation, the changes are subtle, but the retranslation seems to have robbed a lot of character out of the more colorful inhabitants of the Tintin world. Haddock for instance, who always came across as a bit of a gruff, rough around the edges sailor, has gotten a makeover to sound more refined (stupid versus my fine fellow - Prisoners of the Sun). It just is not the same character I grew up knowing and loving (and I've been rereading for the last 35 years). Examples abound. I bought ten albums in total, as I love reading Comics on my iPad Pro (12.9" screen), and the prospect of reading my favorite books in digital at the tap of a button was just too delicious to not avail at this price point per album. As for the question you brought up, from where I stand, no, not in the very least. I don't think the new texts do the albums justice. I may be biased as I have never read the French originals, but I have read the English versions for over 35 years, and this ain't it. Just my $0.02. Thank you for a very insightful reply to my rather visceral reaction post. It just is not the same character I grew up knowing and loving (and I've been rereading for the last 35 years). It's difficult, I know (and I have been a fan for close to 50 years! ), but perhaps the availability of a new translation might be more acceptable to a younger readership? I don't know if the MT&LL-C translations may seem dated, so if it does engage a different audience, then maybe that's a good thing? I found the change in lettering also changed the "sound" of the characters, so I know how you feel. I know one thing, I certainly won't be getting rid of my original translation (and original-lettered - I am a purist to that extent!) Methuens and Egmonts! We have been incredibly lucky to have had such fantastic translations of the books in English, and it's good to know that you have enjoyed them so much over the years! I see the books are now on iTunes, with Land of Black Gold, Prisoners of the Sun, and Seven Crystal Balls newly translated and ready for sale. 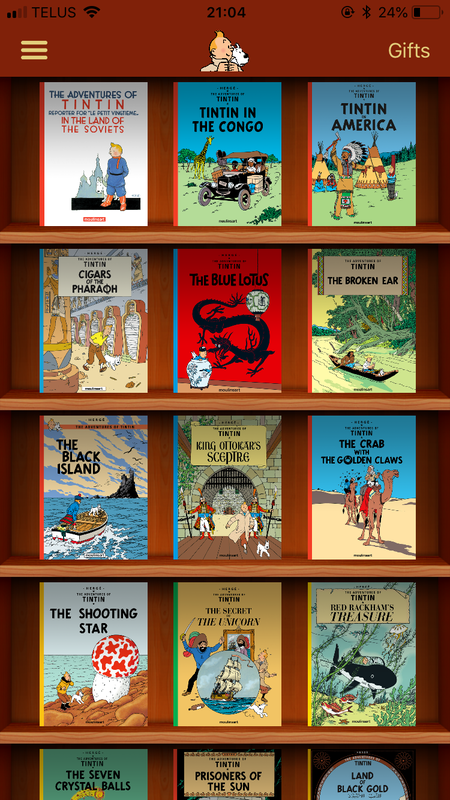 I am irked that on iTunes the cost is £2.99, whilst on the Tintin app they are still £3.99! According to the Tintin site, 23 books were fully translated two months and 14 days ago, with Alph-Art being added in the following months. Has the English translation of this book or others been changed over the years? This one is certainly significant. The Tintin app I mentioned is one I downloaded to my iPhone a while ago from Tintin.com. You may have encountered it on your internet travels. It has the first 4 pages of each book and you can pay $5 to download the rest. P.S. I did search the forums beforehand for "Land of Black Gold" with "Autocart" and "Recovery Zoom" but found nothing about this. Has anyone encountered the Autocart towing service in another name? Welcome! Well done and thank you for doing the search first - it's always appreciated; unfortunately, although the specific instances you mention hadn't been discussed, the over-all reasons for the changes have. You will see that this thread (to which your message has been moved) is about the fact that the app doesn't use the Methuen translations – which continue to be the basis for the print books - but new translations done by Michael Farr. This means that not just the specific lines you mention, but many others, are in fact different.